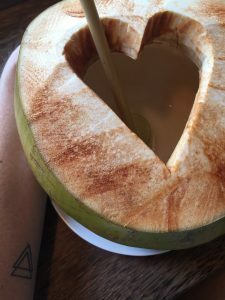 In Bali I reflect – “What am I doing with my life”? In Bali I sit reflecting on, “what am I doing with my life?” I am reminded of how much I LOVED being a trainer and how empowered I felt. 10 years on, how it affects today – I competed in the ANB – Australasian Natural Bodybuilding Competition. I was at the pinnacle of my Fitness Career and loved working as a Personal Trainer in Sydney, Australia. Today I recognize, along with my recent Canadian break-up, I have been affected, by seemingly having ‘failed’. Whilst intellectually I know I haven’t, I have an installed fear within, that has prevented me from stepping forth, again, owning something that I WANT. I WANT so much to feel this sense of joy & empowerment again, today I met my fear head on whilst speaking with my friend. I witnessed my fear in committing to something I want, for fear of not being good enough, worthy enough, not my path, for maybe failing again, etc etc. You see, I had it all mapped out 10 years ago. I had a business partnership with another. We signed a 3 year lease on a commercial property to create a Holistic Health Centre. I was a successful trainer, and well on my way to graduating from my Diploma of Tranformational Coaching. This was what I wanted! I was 27 years old & I was doing what I loved! The sky was the limit! In October 2006 I went into competition & placed 4th in Women’s Short Figure. It was a MASSIVE achievement! My coach suggested I stick at it as my physic was perfect for competing. Through this time, the relationship I was in ended and we parted ways. Over the next duration of months, I continued to pour everything into my work and kept my training up, despite the next comp being another year away. The turning point happened after my Coaching Module – VISION QUEST. Where we undertake a sacred ceremony of entering into the bush from Dawn to Dusk – setting intentions for what we wish to let go of and welcome into our lives. I came away from that weekend with my mind blown & my energetic senses high. I’d gone down the rabbit hole & lost my way back out. I entered depression for the next 2.5 years & as a result, everything I knew fell apart. My PT Business died, the friends I knew, fell away. I had high expenses based on my previous life & the mediocre jobs I was doing barely cut what was needed each week. I became a recluse hermit. My training faded and I lost who I thought I was. I underwent therapy through this time & it was baby steps in the dark. I didn’t know if I was moving forwards, backwards or even if I was moving at all? Mostly I felt I wasn’t. Eventually as I pulled through, my confidence was shattered, and I took whatever jobs I could to survive. Personal Training felt so far from me, it was a distant object. This was 2009/10, and ever since has been a gradual step forward. Wrapido to Nature Care College. Nature Care College to lululemon. lululemon to Canada. Canada to New Zealand. New Zealand to Bali Silent Retreat. Each role, each location, bringing me closer and closer to ME. The real & authentic ME. Each place, rich & full with life lessons & experiences not possible in a classroom. Now, sitting here in Bali, after being ‘born’ from my 8 month Bali Womb, I sit and wonder what is next? There is no backwards, there is no sideways, there is only forwards. I am done being a paid employee, I am done being dictated with plans & someone else’s ‘to do’s’, I am done with being 2nd best!!! I must step forward, I must face my fear of failure, I must feel it and step forward regardless. After all, what is a life worth living if we haven’t truly lived? I don’t know how to do this? I don’t know how to start again? I only know I have to. I have to! Anything less & I do my soul a severe injustice. And so being my own guru is where this is at! 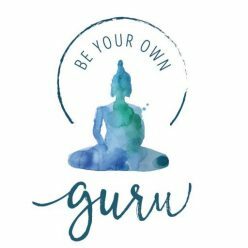 It’s time to be my OWN GURU! Format ImagePosted on August 16, 2016 Author Heidi FirthCategories body, change, courage, depression, enough, fears, guru, health, life, lululemon, mind, purpose, storytelling, thoughts, truthTags be your own guru, find your inner guru, My 8 month womb of bali love, what am I doing with my life2 Comments on In Bali I reflect – “What am I doing with my life”?